The man accused of sending pipe bombs to prominent critics of President Donald Trump made his first court appearance Tuesday in New York and has been ordered held without bail. 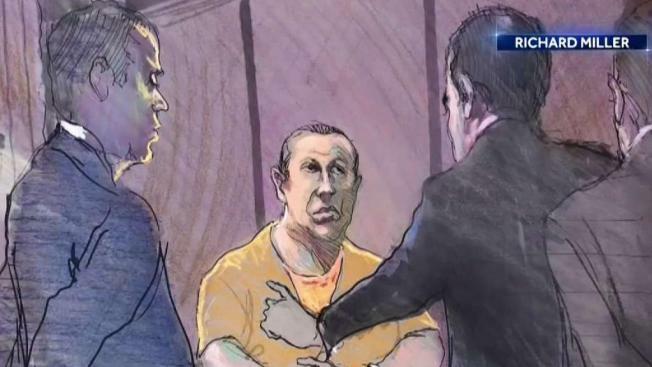 Cesar Sayoc made his first court appearance on Tuesday in federal court in Manhattan following his transfer from Florida. His attorneys had said last week in Miami that it would be better if his lawyers in New York could take the case as soon as possible. Prosecutors told a judge that Sayoc presents a flight risk and is a serious danger to the public. The defense did not argue this point. During his court appearance, which lasted about 12 minutes, Sayoc looked at the judge the entire time, answering "yes, sir" to all of the judge's questions. He also asked for a court-appointed attorney. Sayoc's next hearing is scheduled for Nov. 11. Sayoc was arrested a week ago outside a South Florida auto parts store in a van in which he had been living, a vehicle covered with stickers of Trump and showing images of some of the president's opponents with red crosshairs over their faces.